Gone are the days when a homeowner or entertainer would have to abandon the creature comforts of home when on the road. 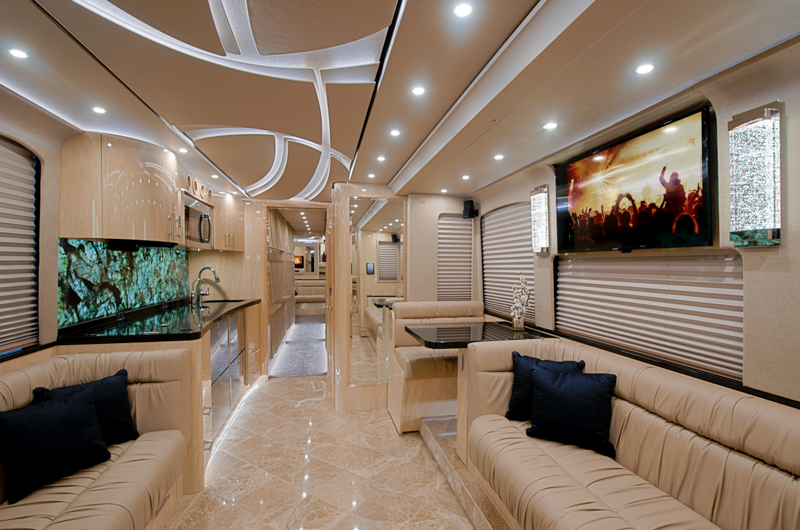 Today’s nomads and their interior designers are cleverly incorporating natural stone elements into motorhomes and RVs to surprisingly successful and luxurious results. 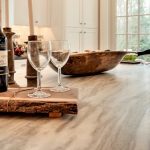 Our experts share why natural stone is becoming popular, the unexpected ways it’s being used, and how to incorporate it without affecting a mobile home’s efficiency. White onyx and Cristallo quartzite backsplash; Corteccia quartzite countertops. Photo courtesy of Florida Coach in Kissimmee, Florida. 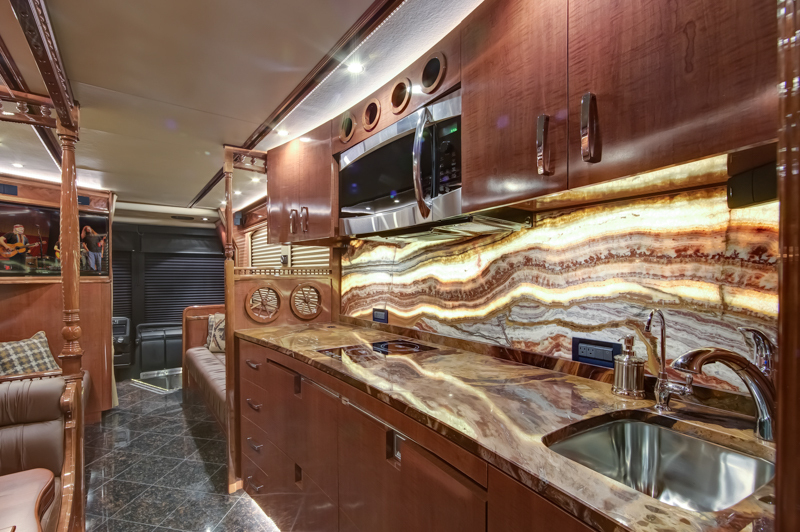 One of the common concerns of using natural stone in any type of mobile structure, whether it’s a motorcoach or RV, is how the additional weight will affect its efficiency through gas mileage and the wear and tear on the vehicle. 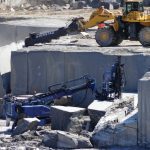 Darlene Spezzi, owner and CEO of Mystic Granite & Marble in Orlando, Florida, doesn’t let that concern hold her or her clients back. Instead, she recommends homeowners look for thinner options in places such as a backsplash and walls using 2cm thin tile. 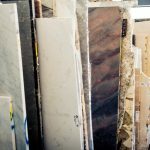 She has an advantage of being able to find the right stone for a project since Mystic Granite & Marble is a 53,000 square foot indoor stone countertop and tile showroom and gallery and she personally hand selects stone from the world’s most reputable quarries. Options are plentiful. One tip Spezzi offers clients is to start with their stone choice first and then work a color palette around the stone. Another thing to consider when choosing stone is how it’ll be used. For example, according to Spezzi, using translucent stone that can be backlit for the backsplash or walls can create a warm effect. “It also creates a more spacious feel,” she adds. Kenneth Ludwig, creative director of Chicago-based Kenneth Ludwig Chicago, LLC., a full-service home furnishings and interior design firm that works directly with interior designers and design-savvy consumers, showcases several natural stone home accessories throughout his showroom. He agrees with Spezzi that natural stone lends itself well for backsplashes in the kitchen area or in the shower, whether on the walls or on the floor. He’s also seen natural stone used creatively in an entryway, which would work well for an RV environment. Designers can opt to insert a medallion design or an insert of stone into the flooring for a big impact without adding a lot of weight. Ludwig’s also seen the application of stone in the entry of an RV or as a “runner” insert in a kitchen. “These tiles have been inset into the flooring to enhance the overall design with more natural elements,” he notes. Translucent Labradorite Lemorian Blue granite backsplash. Photo courtesy of Florida Coach in Kissimmee, Florida. 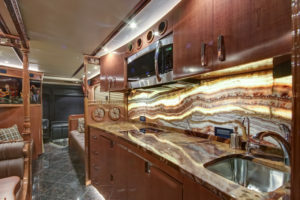 But there are other ways to incorporate the natural stone look into a mobile home that isn’t permanent: through the use of home accessories in different areas throughout the interior which can enhance the look and feel of the space. Another place where manufacturers have cleverly reduced the weight without sacrificing design is in tabletops. The outdoor industry has been designing accent tables using materials such as mosaics or thinner tiles to create stunning looks while making the final products easier to move and lower weight to cut down on costs of shipping. Ludwig refers to KNF Neille Olson as one supplier who is doing tabletops well. Using that as inspiration, Ludwig recommends incorporating natural stone into a tabletop or accent tables in a mobile home for emphasis. 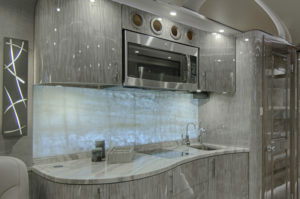 Onice Fantastico onyx countertop and backsplash. Tan Brown granite flooring. Photo courtesy of Florida Coach in Kissimmee, Florida. Just as in permanent homes, there are trends in natural stone when it comes to mobile homes. “Quartzite is the latest natural stone trend,” Spezzi notes. “Most quartzites have softer shades resembling marble. Many people are afraid to use marble for the kitchen countertops as it can scratch and stain so, instead, they use quartzite for the similar look and durability. Another trend she’s been seeing that has become popular is book matching stone which, she says, creates a piece of art. Many homeowners agree that natural stone is timeless and organic when it comes to adding it into their permanent home. Is that the case when the home is mobile? Does it add value to the home, or does it decrease the value? 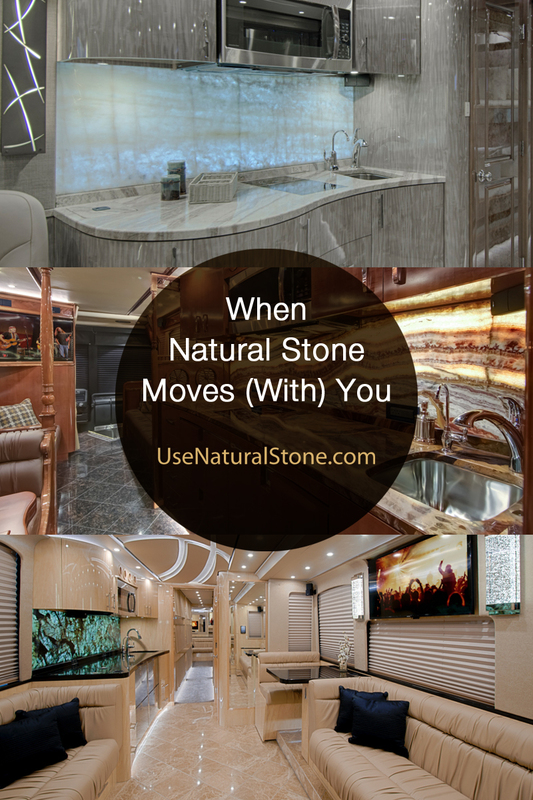 While most interior designers advise homeowners to design with their lifestyle and tastes in mind, according to Spezzi, using natural stone in an RV or other type of mobile property can turn a mobile property into an elegant home while also increasing the value, just as it does a home. Similarly, unlike other types of building materials, natural stone is meaningful, regardless of its location. “I love working with my clients and sharing my knowledge of stone because every stone tells a story,” adds Spezzi. Even if the natural stone and story moves from city to city in a mobile home.